Sunny days and easy living are yours at The Coast of Naples Florida. We offer three bedroom townhomes for rent in Naples, FL. They feature clean design and plenty of natural light, plus all the conveniences you want in your living space. From a snack on the go to a holiday banquet, preparing meals is a pleasure in your modern kitchen with all-electric appliances. Enjoy an early morning cup of coffee in your cozy breakfast nook or an evening glass of wine on your private patio. Washer and dryer connections let you make short work of chores on laundry day. The whole family, including your four-legged members, will be right at home at The Coast of Naples Florida. 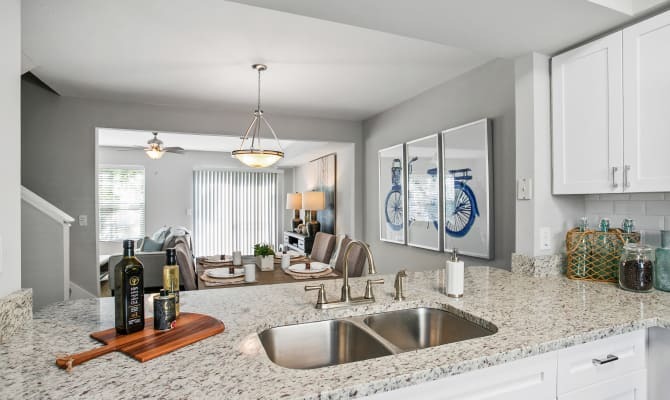 The Coast of Naples Florida's three bedroom townhomes offer stylish design within, and a world of amenities throughout. In addition to an ideal location among local parks, quality schools, and major employers, our community features a lush and lovely landscape, a resort-style pool and sundeck, and a fun play area for the little ones. Every day conveniences include covered parking and an on-site car wash area, as well as guest parking. Need to tie up some loose ends for work or school? Head to the business center to make copies or send a quick fax. Our on-site management team is here to help. Make your Gulf Coast home at The Coast of Naples Florida. Get in touch to arrange a private tour of your new three bedroom townhome in Naples, FL.